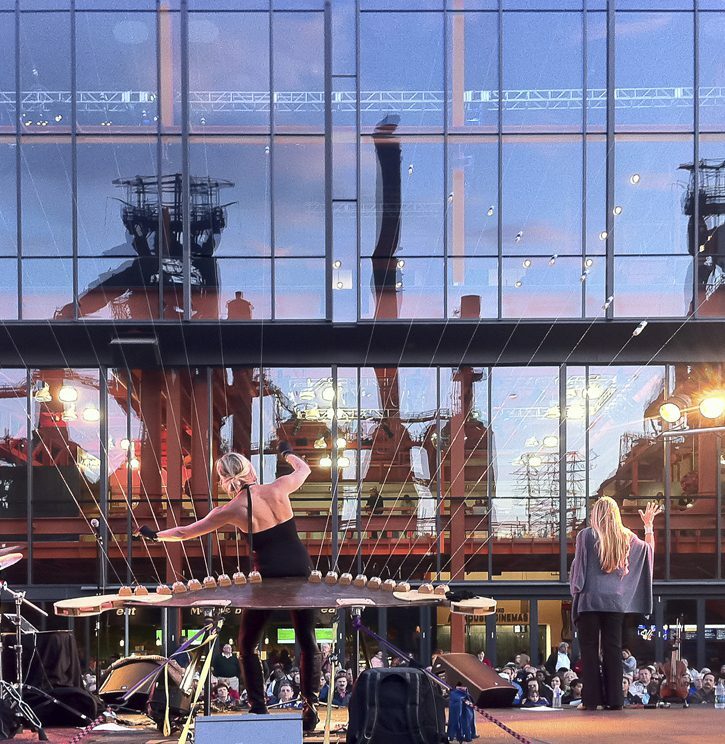 Spillman Farmer Architects is pleased to announce that American Institute of Architects (AIA) Pennsylvania has awarded a Silver Medal, the organization’s highest honor, to Spillman Farmer Architects for their outstanding design of the ArtsQuest Center at SteelStacks. Center is a dynamic performing arts, media, and cultural center located on the landmark Bethlehem Steel site in eastern Pennsylvania. 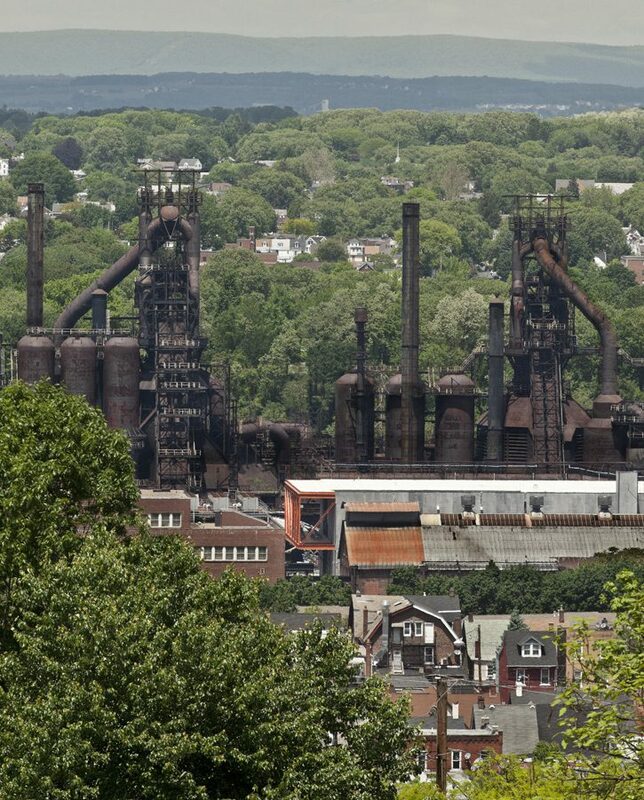 The Center lies at the foot of the abandoned Bethlehem Steel blast furnaces, 200-foot industrial ruins that tower above the country’s largest privately-owned brownfield. The project represents a new type of hybrid building for the arts. The building is an anchor for the revitalization effort in the City of Bethlehem, transforming a once-abandoned historic industrial core into a dynamic, sustainable, and livable mixed-use community. Spillman Farmer Design Principal Joseph N. Biondo responded, saying, “The architecture of the ArtsQuest Center is influenced by its industrial site. It embraces our region and its culture, recognizing the material and human spirit that fueled the industry of this country. It is an honor to be recognized by the AIA for our dedication to craft and human-centered design.” Biondo continued, “As a firm, we see this project as an expression of structure, material, and site.” The building is wrapped with locally-manufactured pre-cast concrete panels, which are mounted with their rough, hand-screed surface facing outward. The Center’s panels celebrate both the process and the people that produced them, by revealing the marks of their production. 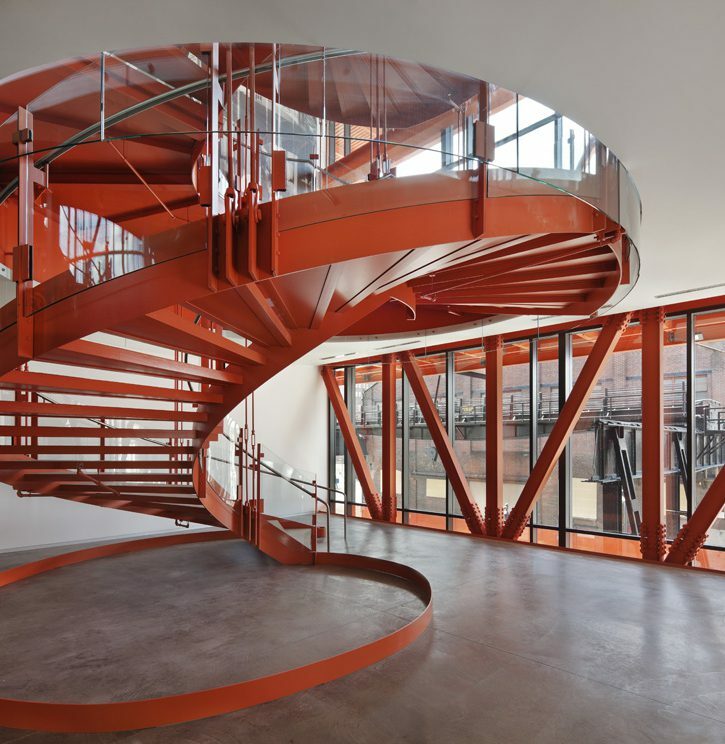 Inserted within this structural concrete strongbox is a skeletal steel frame that honors the site’s steelmaking history. The skeleton is finished in International Orange, an iconic color borrowed from many of Bethlehem Steel’s most recognizable fabrication projects, including the Golden Gate Bridge. Spillman Farmer Design Principal Joseph N. Biondo was born in Bethlehem, Pennsylvania and graduated from the Kansas State University College of Architecture, Planning and Design. Shortly after graduation, he pursued a lengthy career with Bohlin Cywinski Jackson Architects, where he worked closely with AIA Gold Medal recipient Peter Bohlin. In 1996, he established Joseph N. Biondo Architects, before joining Spillman Farmer Architects in 2003, where he is currently bringing design excellence to the forefront.